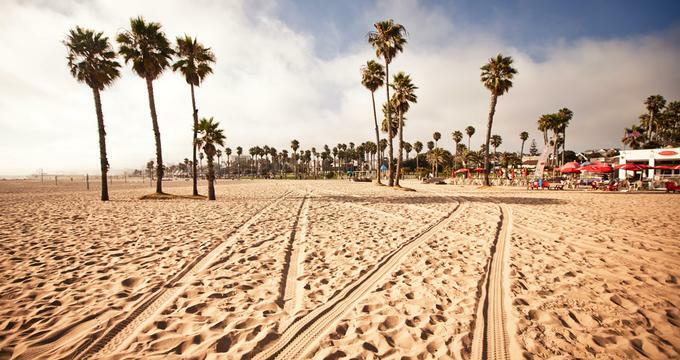 Santa Monica, California, is a famous beach destination and a popular weekend getaway from Los Angeles. 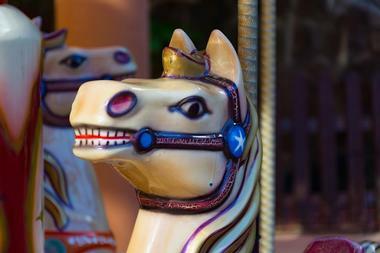 The city is home to the iconic Santa Monica Pier, the Museum of Flying, the Hippodrome and other attractions. Stroll along the Third Street Promenade to browse shops and have lunch or dinner at one of the restaurants. 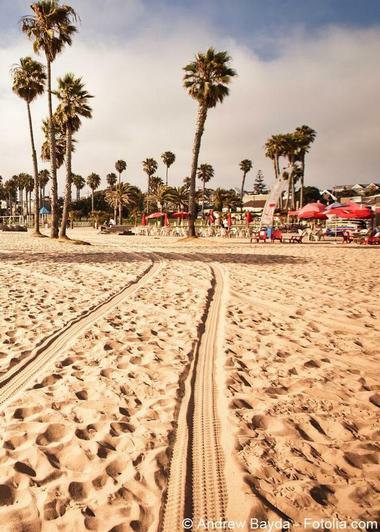 Here are the best things to do in Santa Monica, California. 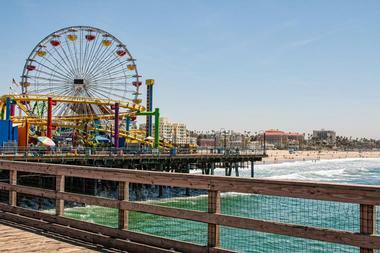 An iconic destination in Santa Monica, the picturesque pier is a well loved and celebrated landmark. The 100-year-old structure is a pivotal component of the Santa Monica’s history, and provides a distinct and well-known seaside recreational spot for both visitors and locals. The pier is host to a variety of attractions, ranging from small shops and cafes to vast music festivals stretching across the deck. If you are wondering what to do in Santa Monica, California today, this is a great place to start exploring. Two of the main attractions on the Pier are Pacific Park, an amusement park complete with multicolored rollercoasters and vibrant rides, and the Aquarium, located underneath the Pier. It regarded as one of the most superior aquariums in the nation. Stretching three and half miles, the Santa Monica State Beach lines the coast, dividing the city from the shore. Following the edge of the Pacific Coast Highway, the Santa Monica Beach lies on either side of the famous Santa Monica Pier and provides an array of recreational and entertainment opportunities for beach goers. On the beach, manned lifeguard stations, playgrounds, picnic areas, bike rentals, water sport rentals, and wooden pathways facilitate easygoing and safe entertainment for visitors. Additionally, volleyball courts, chess tables, and other landmarks line the popular and scenic location. 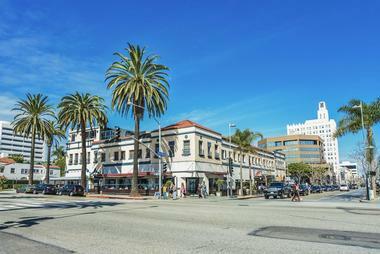 The primary tourist district of Santa Monica offers visitors an array of shopping and dining opportunities throughout the palm tree lined promenade. Closed off to cars, the district is pedestrian friendly, allowing for safe wandering up and down the block. Known for its vibrant nightlife and diverse array of upscale shopping options, the area is a year-round attraction. Open-air cafes, bistros, and dining spaces are scattered throughout the Promenade while tables line the street and food cart vendors set up shop at various blocks. The bustling area is lively, active, and constantly buzzing with eager visitors and vendors alike. Throughout the year, various attractions are hosted within the Promenade, turning the busy district into an event venue. Open for lunch and dinner, Pono Burger is the West Coast’s approach to a typical burger joint. Serving only organic, grass fed beef and locally sourced ingredients, Pono’s offers this iconic American dish, a high quality and carefully prepared burger. Chef Makani, a Hawaiian native, remains mindful of her roots and considers her restaurant’s impact, citing improving individual bodies and the world itself as one of her motivations. 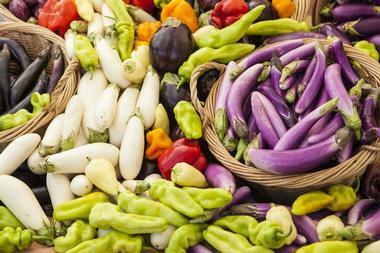 The Santa Monica Farmers Market is an expansive, citywide event that occurs throughout the week. The Saturday market has two locations, while the Sunday and Wednesday markets each have one. These markets are renowned nationwide and have gained accolades for the diversity of their products and the refined nature of the facility spaces. Throughout the year, the Santa Monica offerings include a diverse variety of fresh, locally grown produce alongside a selection of locally harvested meats and cheeses, regionally caught fish, specialty nuts, and freshly cut flowers. If you are looking for things to do in Santa Monica with kids, this is a great place to visit. The market is open year round, yet the fare varies seasonally based on availability. The clientele is broad, and the atmosphere is typically lively and bustling with market goers, all scoping out the available merchandise. Mercado, a dinner-based, fine dining Mexican eatery, is known for its delectable menu and expansive number of tequila offerings. 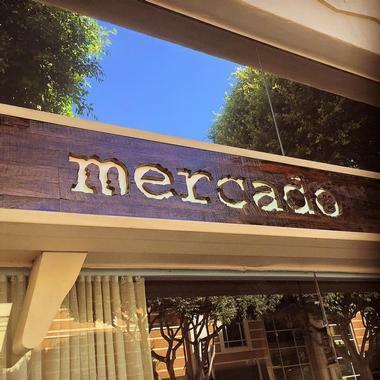 Located in the core of downtown Santa Monica, Mercado serves authentic fare and offers a menu comprised of both classic and contemporary Mexican dishes. Mexican born chef Jose Acevdeo uses his experience and expertise with flavor and cuisine typical of Mexican meals to create high quality dishes from fresh, locally sourced ingredients. The restaurant is relaxed yet high end, with upscale décor combined with a welcoming atmosphere. If you are looking for romantic date night ideas, this is a great place to try. The two story dining space is laden with trendy details, including industrial features, ambient lighting, and an entire wall of windows, giving the restaurant an intimate yet open feel. 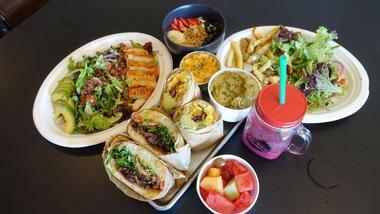 Located next door to DK's Donuts in the small shopping mall on Santa Monica Boulevard near 17th, Chomp Eatery and Juice Station is a small, modern eatery where you can get highly satisfying meal that will also be good for your health. They offer 30 flavors of cold on-site pressed juice mixes, organic produce purchased from local farms, and a menu with many gluten-free, vegetarian, or dairy-free options. 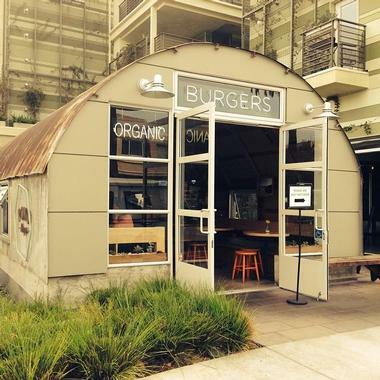 Their juicy burgers are made from grass-fed beef and the chicken is free range. They make their own mayo and use no preservatives. They are a perfect proof that healthy does not mean tasteless or boring. If you are not convinced, just try their bacon melt with applewood bacon, Tillamook cheddar and pepper jack cheese, grilled jalapeño, grilled onions, grilled bell pepper, and cilantro aioli, all piled up on sourdough bread. This space and air museum is located at the edge of Santa Monica near the Santa Monica airport. This 22,000 square foot space is host to an array of exhibits and displays, allowing guests to experience the history of flight technology and better understand the growth of the industry and changes in aircraft development. Two dozen aircraft are featured in the museum, ranging from a replica Wright flyer, to a collection of jet age crafts, including a Boeing 727 nosepiece. Three Twins Ice Cream shop in Santa Monica is a popular local hangout, with a few benches filled with people happily licking their precious cones before the delicious ice cream melts in the scorching Santa Monica heat. They are not all locals, but they all came for Three Twins unique ice cream made of entirely organic ingredients. There are few surprises, at least when it comes to flavor. You will find flavors such as strawberry, coffee, chocolate, and cookie ice cream that really taste and smell like ripe strawberries or home-made cookies. Today, you can find Three Twins delicious ice cream all over California in gourmet shops and grocery stores, but sitting on a bench in Santa Monica with a bunch of locals is by far the best way to enjoy it. One of the most frequently visited natural attractions in California, the Santa Monica Mountains rise up from behind the city, casting their shadows over the municipality and stretching nearly to the ocean. Santa Monica Mountains National Recreation Area begins at the base of the range, providing guests with various entrances into the vast, urban green space. Nearly 20 parks throughout the mountains provide guests with ample opportunity to explore. This dinner centric restaurant is known for its effortlessly cool approach to dining. Providing Southeast Asian flare fused with delectable French ingredients and fresh California flavors, the restaurant features a menu that is eclectic and diverse. The kitchen staff creates truly unique dishes and flavor combinations that could only be authentically crafted in California. 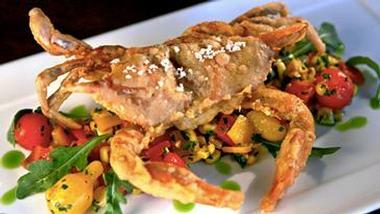 The menu features a variety of seafood-based meals featuring locally grown and sourced ingredients. The interior offers a fresh and vibrant atmosphere that feeds off the youthful and creative energy of the food. The trendy ambiance is upscale but relaxed, proving that Cassiala takes a modern approach to the contemporary fine dining landscape. Sweet Rose Creamery is a quaint Santa Monica ice cream parlor that serves as one of Los Angeles' only homemade local ice creameries, originally opened by executive chef Shiho Yoshikawa and business partners Zoe Nathan and Josh Loeb in 2010 within the Brentwood Country Mart. Five neighborhood locations of the ice cream parlor are offered today, crafting high-quality desserts from locally-sourced and organic ingredients. All ice creams and toppings are made in house, with flavors ranging from classic mint and chocolate chip variants to unique sweet potato swirl and cherimoya coconut varieties. Dairy-free sorbets are also served up in flavors such as horchata coconut and kiwi. Rustic Canyon Wine Bar serves farm-to-table New American cuisine (all made from locally-sourced, sustainable ingredients) in a modern, sophisticated setting. You’ll be blown away by exquisite dishes, such as the ‘Sunburst’ Squash Salad, Ricotta Dumplings & Butterbeans, or Olive Oil-Poached Passmore Ranch Trout. They also offer an extensive wine list, artisanal beers, and handcrafted cocktails, like the Maple Berry Smash. Rustic Canyon was founded in 2007 by successful restaurateur, Josh Loeb, who also runs Milo & Olive, Huckleberry, and Sweet Rose Creamery. Jeremy Fox is Executive Chef. You’ll find this wine bar in the heart of Santa Monica. Milo & Olive is a charming neighborhood bakery and pizzeria that serves a bakery-drive breakfast daily, as well as wood-fired pizzas, farmers’ market-inspired salads, and small plates throughout the day and night. Enjoy incredible eats, like Sweet Cream Brioche, Ricotta Crostini, Kale Lasagna, or Wood-Fired Butternut Squash with Vanilla Date Butter. Milo & Olive is run by successful restaurateur, Josh Loeb, and wife and pastry chef, Zoe Nathan. Loeb also owns LA’s Rustic Canyon, Huckleberry, and Sweet Rose Creamery. They are joined in the kitchen by Chef Erin Eastland. 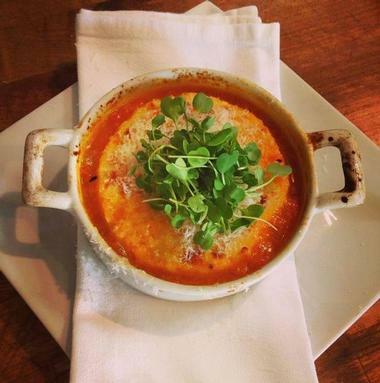 You’ll find this adorable, friendly eatery in Northeast Santa Monica. Serving late afternoon and early evening meals, Del Frisco’s is an energetic and bold American bar and grill situated in an ideal location. 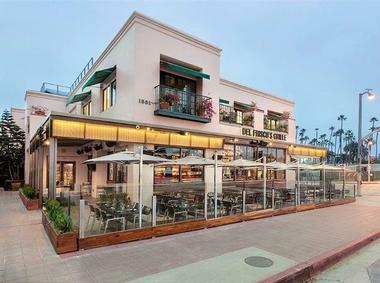 Overlooking the renowned Santa Monica pier, Del Frisco’s embraces California cool with a menu that reflects typical favorite dishes infused with creative and unexpected flavors. The ingredients, all locally sourced, make vital contributions to the fresh and vibrant flavors crafted by Del Frisco’s staff. The interior ambiance, which offers several dining room options, features contemporary chic décor, including bold colors and complementary accents, fostering a tasteful fine dining experience. Located adjacent to the Santa Monica Pier, the Hippodrome is a large, open air building that made the National Historic Landmark registry in the 1980s. A hippodrome was originally an ancient Greek building historically used for horse racing. This dome, however, was built on the Pacific Coast shoreline in the early 20th century. Now, the Santa Monica based Hippodrome is a nationally recognized landmark, and it has hosted a variety of historic attractions during its lifetime, including roller coasters and carousels. Today, the Hippodrome features a full-scale family based amusement park with a variety of attractions, rides, shops, and cafes.